I use 4oz S-Glass. It is strong and light. 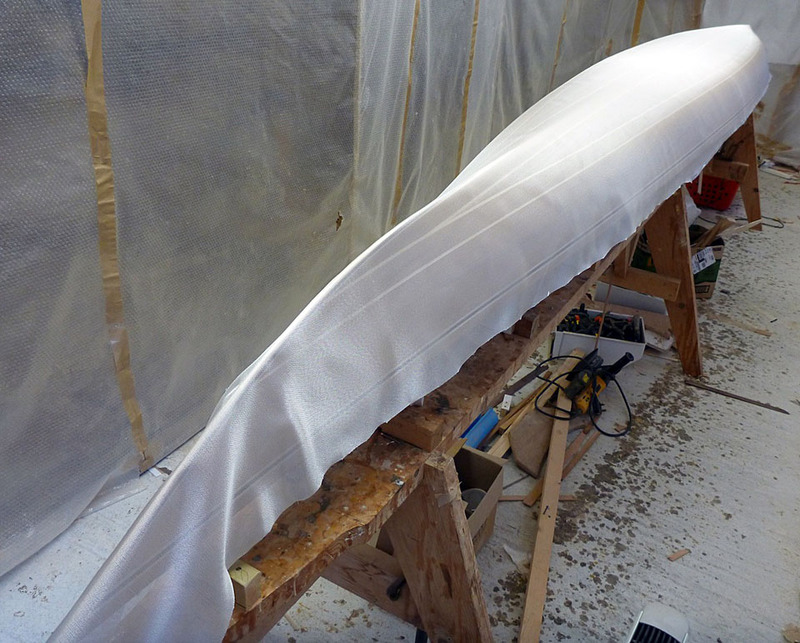 I roll it out onto the hull the night before so it can warm up with the rest of the space before glassing. I trim it with a two inch overhang. It conforms more easily to the boat shape if there is not too much dry glass overhanging the edges.